Are you looking to hire a sales coach to improve your career, leadership, life, business and sales results? Well, I’m going to tell you right now that there are many sales coaches in the field and it is hard to know where to start or what to look for when hiring a coach. There are highly qualified sales coaches like myself and then there are others who just jumped on the sales coaching bandwagon so they can profit from you even though they have not proven themselves to be worthy of getting you as a client. 1. What is your personal track record of success in sales? I was ranked #1 sales performer in the U.S. for 4 years at two global Fortune 500 Companies. I generated over $135 Million in Sales Revenue. I know what it takes to become a top sales professional. This is not true for many sales coaches as they do not have the credentials of being a #1 performer in a large organization multiple times. And, many sales coaches do not have extensive experience building, developing and managing sales forces. But what if those are your goals? See the concern? If they have not walked the walk, and proven they know what it takes to achieve great sales results, how can you expect them to know what it takes to achieve extraordinary results? 2. Will you customize your sales coaching programs around my particular needs and goals? Many sales coaching programs simply place all individuals and businesses into the exact same sales coaching process. They do not take into consideration the immediate challenges at hand, nor do they focus on customizing the program around the strengths of the individual or organization, while identifying and addressing weaknesses. Before you hire a sales coach, ask how they customize their sales coaching program. If they don’t have some good examples to share, run fast, or face receiving cookie-cutter coaching which will greatly impede your results. 3. What is your general sales philosophy? Many of the old persuasive selling techniques really are a thing of the past. They don’t work. Yet, many sales coaches are still teaching people just like you to persuade, push, be very aggressive, and to forcefully change the mind of others. This will make both you and the prospective client feel uncomfortable and will automatically lead to lost sales. If you want to increase your sales potential then you need a sales coach who understands how to create a genuine, natural, customized sales philosophy for each individual they coach. If they don’t, watch out. 4. What professional coach training do you have? You may find a sales coach who has a respectful sales background like me. But, in many cases they’ll have very little, if any professional coaching training. There is a big difference between calling oneself a coach, and having 100’s of hours of face-to-face coaching training. If they do not have this training, you may not receive all the support you need around motivation, focus, changing your mind set, accountability, and being able to support you towards success in your entire life. If you hire a sales coach who does not have professional training, do not expect the same results. You will not be supported holistically around all the intangibles that help people reach extraordinary results. 5. How did you become a sales coach – and why? Find out if the sales coach made the conscious choice to become a coach for the right reasons, or if they burned out of corporate America or fell into the position as a back up because they lost a job. You want a coach who loves coaching, sales and changing lives. Look for a coach with whom you connect with. Look for a sales coach who truly cares about your success and loves the work he or she does. If you do not sense a great deal of passion in their voice when they describe how they became a sales coach, talk to another coach. 6. Can you show me new and innovative ways to increase sales? If the sales coach is not aware of how to use social media, blogs, website marketing, SEO, AdWords, effective article writing and publication, LinkedIn and other similar tools to grow their own business, how can they help you to grow yours? Technology is always changing and there are ways to use it to increase your sales results. Find a sales coach who is using these tools on a daily basis to grow their sales coaching business. Find a sales coach who can show you how to generate leads, contact new prospects and network effectively in the modern era of sales. If they don’t use these tools, keep on looking. I’m a sales coach and I still work with a coach. I get a tremendous amount out of it and I am convinced of the value of coaching. How can you be a coach, but say you don’t need a coach yourself? As soon as you stop learning, growing, improving and developing, what kind of an example are you showing for your own clients? Find a sales coach who has a coach, believes in coaching, uses coaching to continue to become a better coach, a better entrepreneur, and a better person. Find someone who inspires you to do more and doesn’t just coach you, but leads by example. If they don’t have a coach, just ask them why. This is an important question to ask and I’m guessing you will decide to move on pretty fast after they say they don’t need a coach or don’t have one. 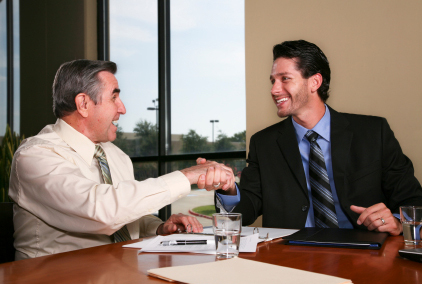 Find a sales coach who is right for you by asking these questions. Follow these tips and you will ensure you partner up with the right sales coach for you to achieve amazing sales results.